These books have been written for all the people who wants to create their own destiny by taking positive actions to restore and preserve the balance in their lives. It starts with who you are. It is about winning life's battles by knowing your true potential and making changes to yourself when the going gets tough. The Four Pillars of Destiny is the road map that guides you in the journey of life. 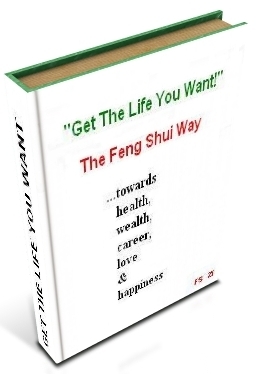 Feng Shui is the compass that points you in the right direction towards success and happiness. 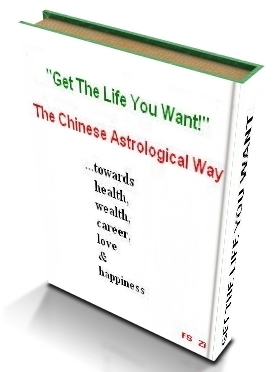 If you have paid for a full BaZi reading and still wants to know more about your birth chart, these books cover in details on the "who", "how" , "why" and "when" of unseen forces in your life based on the elements and animal signs. The Chinese Astrology and Feng Shui books in the series are selling at USD12.90 and USD25.90 respectively at amazon. Over here, you can buy one of the e-books and get the other one for free at only USD15.90! Click the button below and make your payment through our affiliate PayPal. Thereafter, please notify us through email at nlphabit@yahoo.com and we will email the e-Books to you in the next hour. "Get The Life You Want!" The Chinese Astrological Way. 120 pages. "Get The Life You Want!" The Feng Shui Way. 134 pages.